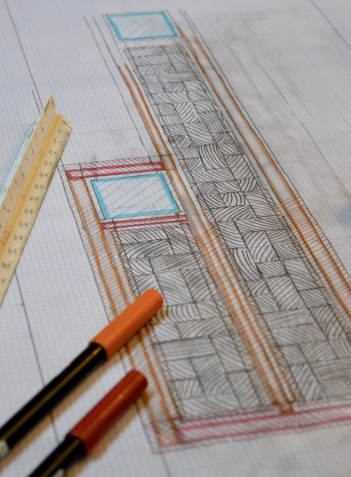 A custom ArtStruct door in the design phase. 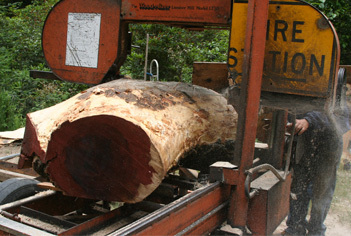 A tree is selected for use. 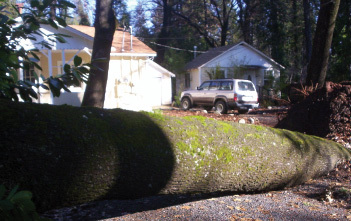 This Black Oak fell across a driveway and looked like good material for a door. 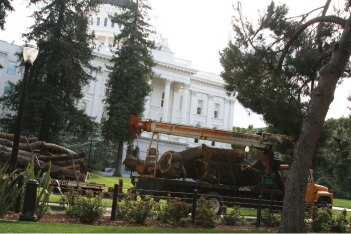 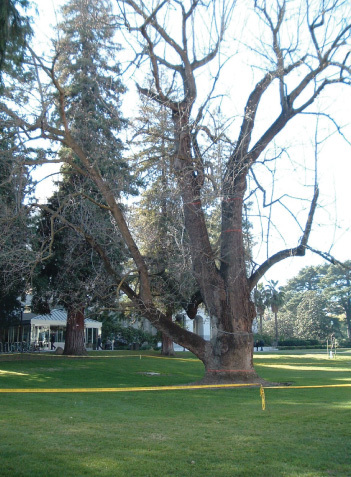 Rough logs are brought away from the salvage site, in this case, the state capitol in Sacramento. 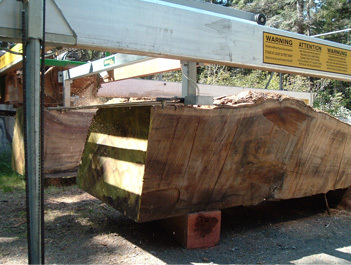 Once at mill site, the materials are positioned for milling. 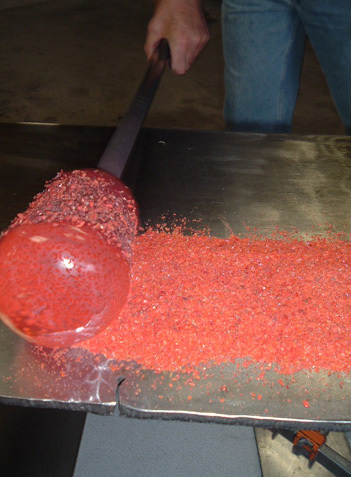 Some material requires a special slab mill. 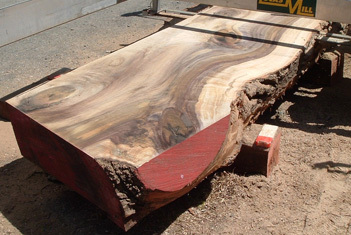 Slab stock, in this case, a 100 year old Tulip Tree. The drying process is very important. 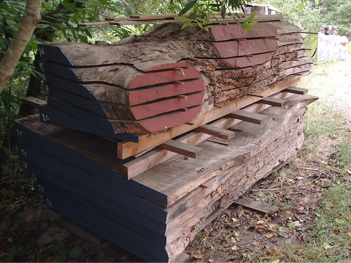 Wood is stickered so air can pass through. 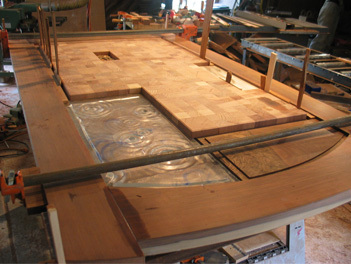 Glass color is added for the "Surfwood" door. 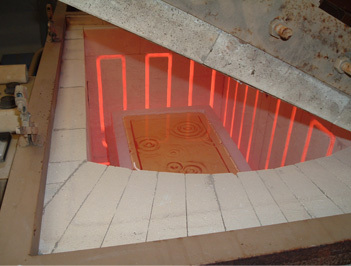 A mold in the kiln is used for the "Botanical Gardens" door. 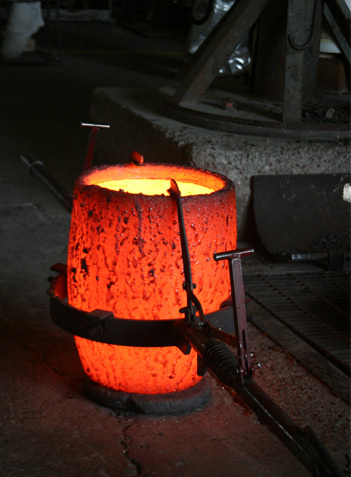 Bronze is hot and ready to pour. 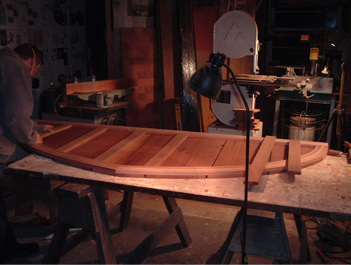 A curving section is glued together. 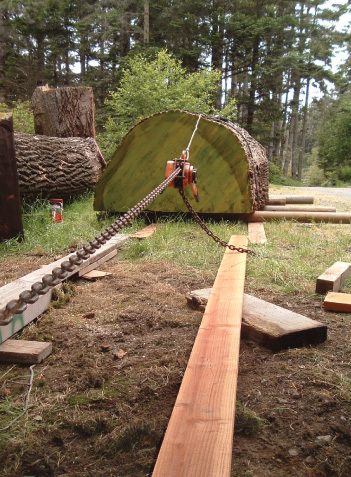 An arch is built for the "Bainbridge Park" project. 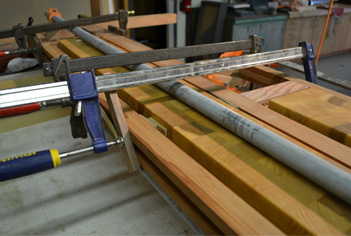 A chisel mortiser put to use for doorframe jointery. 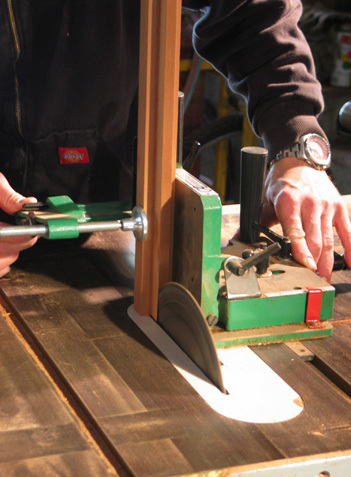 A table saw jig is used to create mechanically fit parts. 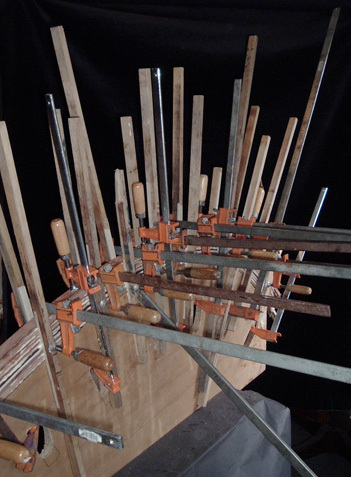 All the parts are carefully fit together. 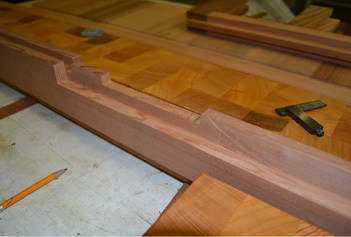 Internal parts are glued up for the "Cleone" door. 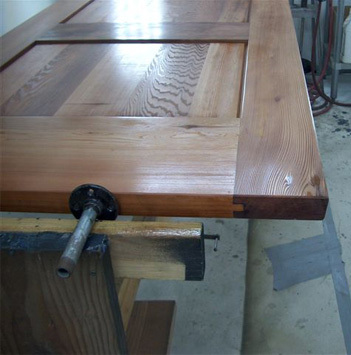 The "Botanical Gardens" door is glued together. 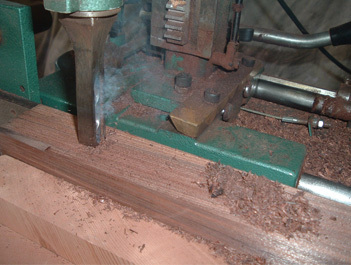 Wood finish is professionally applied. 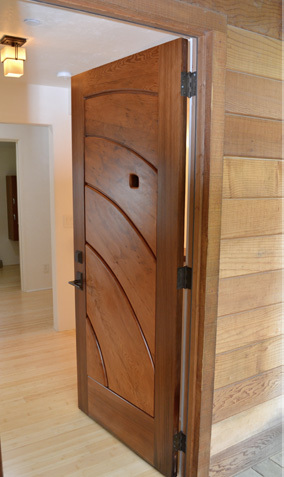 The "Carmel Curves" door is installed.